What is an open head injury? In an open head injury, the bones of the skull have been broken and an object has entered the brain. This may be a foreign object, such as a bullet or a nail; it may also be a fragment of bone from the skull. An open head injury may also be referred to as a penetrating head injury because an object has penetrated the tissue of the brain. 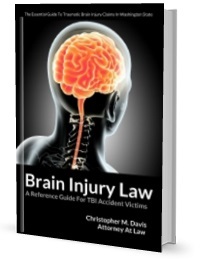 Not every brain injury involves penetration of the skull. When an injury happens to the tissue of the brain but the tissue is not penetrated, that is referred to as a closed head injury. While closed head injuries can be diffuse (meaning that the injury affects cells and tissues throughout the brain), an open head injury usually involves focal or localized damage (meaning that specific parts of the brain have been damaged, usually along the route that the object that penetrated the brain has traveled). What are the symptoms of an open head injury? The most obvious visible signs of an open head injury are visible damage to the scalp and skull, including bleeding or a concave section of the skull following a depressed skull fracture. Symptoms may also include bleeding from the ears, paralysis, coma, loss of consciousness, seizures, difficulty breathing, and loss of control of the bladder and bowels. The long-term symptoms of an injury involving penetration of the brain’s delicate tissue vary based on which part of the brain is injured. Patients may experience temporary or permanent problems with motor control, paralysis, speech, mental health problems, or memory and concentration, among other issues. In some cases, a penetrating brain injury can cause dramatic changes in a patient’s personality. How are open head injuries treated? The first priority after a penetrating head injury is stabilizing the patient. Endotracheal intubation may be used for patients who are experiencing breathing difficulties. Doctors may also attempt to maintain an adequate systolic blood pressure, stabilize the spine, improve cerebral blood flow, administer prophylactic medication to prevent seizures, perform decompressive surgery, and sedate the patient as needed. The prognosis following an open head injury varies depending on the type of penetrating object, how fast that object entered the brain, and whether that object exited the skull, among many other factors. It is vitally important that anyone who has an open head injury see a doctor immediately.